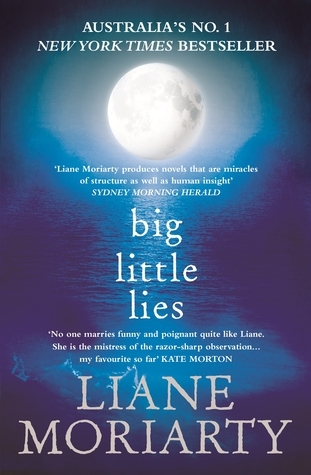 Big Little Lies is by Australian Author Liane Moriarty. This is the first book I’ve read by this author and won’t be the last. Reviewing this book is difficult without giving elements of the plot away (having an element of mystery), but I’ll do my best. The Pirriwee public school trivia night ended in the death of a parent. But who is the victim and who is the murderer? I don’t see how an ill-advised champagne breakfast could have led to murder and mayhem, do you? Big Little Lies is told through three main points of view, with snippets from secondary characters and the investigating police officer. Liane Moriarty spins an incredible story surrounding school parent politics, and deeper issues that society tends to overlook in favour of things such as money and beauty. At the beginning of the book, we know someone is dead, and that a murder investigation is underway, but we don’t know who the victim is, and certainly not the murderer. Seriously, I feel guilty when a police car pulls up next to me at the traffic lights. The humour in this book doesn’t detract from the serious message that underlies it. I finished this book within a day or so of opening it, needing to know what happened next. There were some great misdirections and twists. I related to the setting and the characters in this book (even if the characters themselves were an exaggerated version of reality). The social commentary was great, it really resonated with me. There are so many fantastic quotes, I couldn’t pick them all. But the ones I’ve used are just to give you an idea of why I enjoyed this book so much. The first is exactly how I felt after the first few weeks my eldest started school. It took me a while to find my groove as a school parent.